Many of us believe that as thinking and compassionate people we have an urgent moral duty to rise to the challenge of relieving misery. And so we're dedicated to helping those who are sick, suffering, hungry, or without shelter. Refugees often experience all of these miseries because of climate change, political upheaval, wars and disasters -- huge events and factors over which they have no control. And after all -- How did most of us arrive in the U.S.? Once upon a time, many years ago, someone reached out to help one of your ancestors arrive here. That person who helped may also have been a refugee, an immigrant, or a stranger. 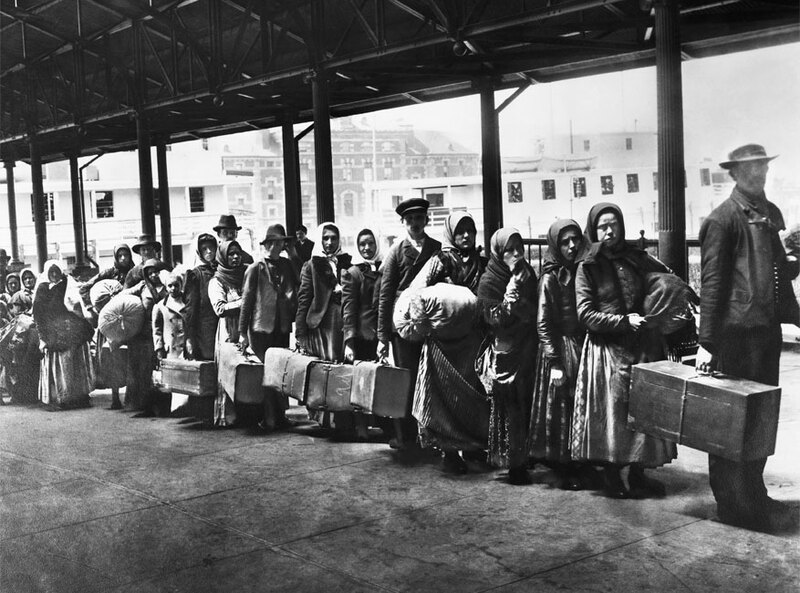 Perhaps they remembered what it was like to leave their home for a new land and to need help, so they stretched out their hands in welcome, helping your ancestors arrive and settle and thrive here. 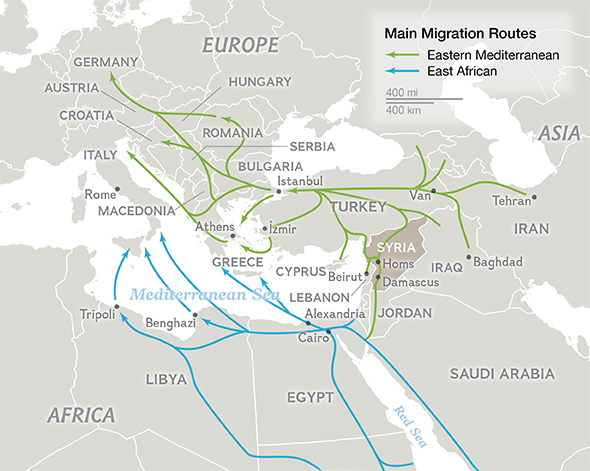 There has never been a time when we haven't had refugees or migrations. We are challenged to find the compassionate, humane response to help all struggling peoples. 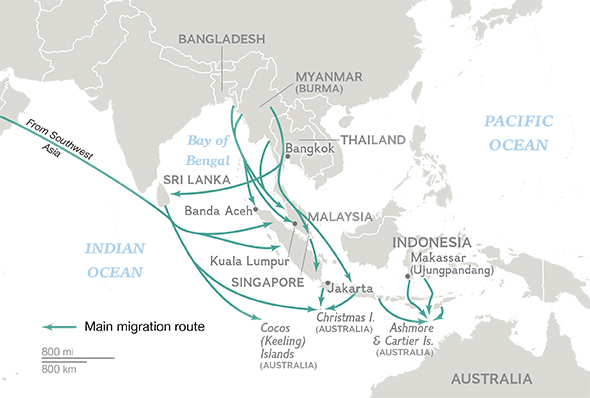 Today we face the largest worldwide migrations of people ever known. Our local groups are currently trying to help those who are struggling to find a new home, a new country, and a safe place to raise their family and live. Refugees who are relocated into their new home countries most often add tremendous ambition, sophisticated skill sets, their dedication, gratitude, and hard work, and also weave into our lives the magnificent richness of their cultural diversity. 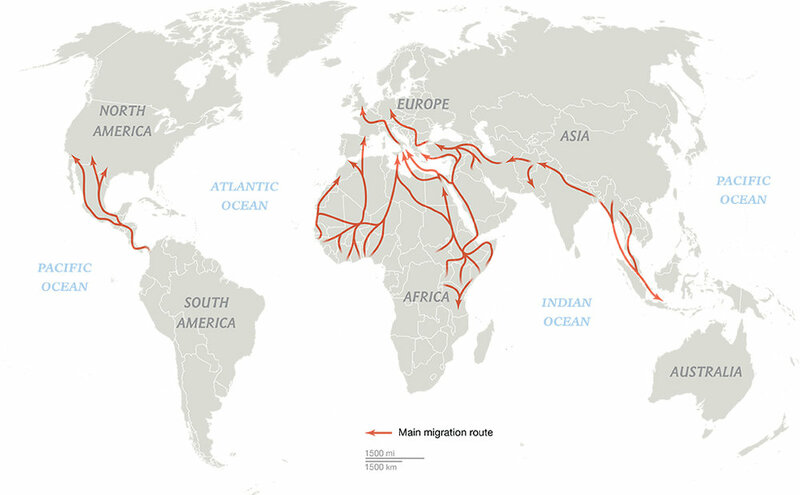 "The desperate men, women, and children flooding into Europe from the Middle East and Africa are not the only people moving along ever-shifting and dangerous migration routes. Last year  saw the highest levels of global forced displacement on record—59.5 million individuals left their homes in 2014 due to ‘persecution, conflict, generalized violence, or human rights violations’ according to the United Nations. That's 8.3 million more people than the year before. Maps below courtesy of The National Geographic Magazine. ‘We are witnessing a paradigm change, an unchecked slide into an era in which the scale of global forced displacement as well as the response required is now clearly dwarfing anything seen before,’ Antonio Guterres, the UN High Commissioner, declared in June."